Healthy Living: No Age Limit for Benefits of a Healthy Diet! If you read this blog often you know I believe nutrition is the most important and first line of defense in living a truly healthy life. I want to share some information about results of a recent 14-year study on the effects of overall diet and how healthy nutritional choices during middle-aged years influences chances of developing dementia from this article. I found the results of this study extremely exciting and encouraging because so often when someone reaches their middle-aged years, they have been practicing habits that are less than healthy for a long time and may feel that making healthy changes now are basically “too little too late.” But, happily, this study proved that this is not the case. That is truly exciting and more proof that simply eating the healthiest foods possible can make a huge difference in overall health – regardless of when you begin! That’s very good news for many people who have never given diet a second thought. 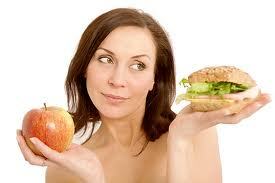 Unfortunately most people have no clue what constitutes a healthy diet. I had one prospective client tell me he had cut out carbs knowing they cause weight gain and raise cholesterol so he was eating Cheerios as a snack since they were not carbs!! I see many people need very basic, foundational information that includes addressing spirit and soul issues and that is what I offer in my programs. I believe in meeting people where they are and moving forward from there together! This entry was posted in Cancer, Diabetes, Heart Health, Nutrition, Overall Health and Wholeness, Weight loss and tagged brain health, dementia, diet, food, health, middle-age, midlife diet, nutrition, strength. Bookmark the permalink. 6 Responses to Healthy Living: No Age Limit for Benefits of a Healthy Diet! Great news. It’s never too late to make good choices. Absolutely! It’s never too late so no excuses – for anyone. Ann, your blog is so encouraging, especially to me as I watch my father with dementia. Thanks again for cheering us on to better habits! Marcy I am so glad you find what I share encouraging – that is certainly my intention – and I am truly sorry about your dad. Yes, we can always made improvements no matter where we are in life. Ann, that is good news! Thanks for keeping us informed.